When people have declining financial situations, credit identity theft tends to become a last and available option. As families attempt to survive in tough economic times, sometimes, providing food and health care for family members becomes a real and extremely challenging obligation. Rising gas prices, reduced or disappearing credit lines and plummeting dollar have greatly contributed to the consumers’ squeezed budgets. Consumers are rethinking their budgets and considering all kinds of expense cuts. Sometimes when there are no more cuts to make and absolute daily necessities such as food and medication become a question of survival, credit identity fraud becomes a last and necessary option for some people. Lately, I’ve heard from so many people that they have received letters from their mortgage companies indicating their home equity line of credit or HELOC has been either eliminated or reduced. During the rising home prices of late 1990s and early 2000, so many of us applied for and established HELOCs for a rainy day. Unfortunately, with the continued collapse of the real estate market, rising gas prices, and plummeting dollar, it’s now raining but consumers are left with little or no options to provide for their families due to lowered available credit to borrow from. Even the job market is not on the side of the consumers. Companies continue to slash jobs and those companies which add employees are paying less due to market economic pressures. When consumers’ list of expenses includes nothing but absolute necessities such as food and medication, while the credit and revenue side of their life continues to diminish, crime will rise especially in the area of credit identity theft and fraud. I’m not suggesting that the survival of a person at the expense of someone else is an excuse to commit identity fraud, but economic pressures create a real and rising credit identity theft problem for the society. The fact is we all pay for during bad economic times and rising prices; lower income families become desperate resorting to all possible and available options including identity theft, while victims of identity fraud and businesses indirectly contribute to recover the cost of fraud. As we understand the risks of rising identity theft during bad economic times, we must also prepare ourselves and plan for maximum identity protection. 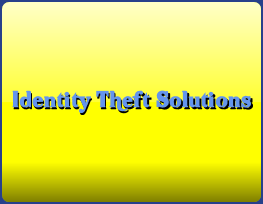 Please visit the services page for credit identity theft solutions.